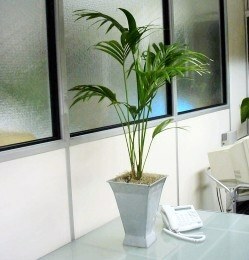 Care Tips - Palms come from tropical regions and hence thrive in high humidity. Brown tips at the end of the fronds are usually a symptom of dry air. Mist the plant more often, and snip these ends off carefully to improve appearances.